The Bureau of Industry and Security (BIS) is a licensing, regulatory, and enforcement agency that advances U.S. national security, foreign policy, and economic objectives by ensuring an effective export control and treaty compliance system and by promoting continued U.S. strategic technology leadership and a strong defense industrial base. BIS administers and enforces the Export Administration Regulations (EAR), which regulate the export and reexport of commercial commodities and technology, as well as less sensitive military items. BIS has a team of special enforcement agents and analysts, singularly focused on enforcing export control regulations. The special agents are located in offices in nine major U.S. cities and in six major economic hubs abroad. 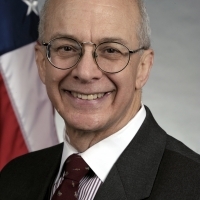 In 2009, the President announced the Export Control Reform (ECR) Initiative, a comprehensive policy reform effort aimed at updating the Nation’s export control system; BIS has been part of the interagency effort. ECR strengthens our national security and enhances the competitiveness of key U.S. manufacturing and technology sectors by: (1) improving our interoperability with our close friends and allies; (2) strengthening the U.S. defense industrial base by reducing the current incentives for foreign manufacturers to “design out” controlled U.S.-origin parts; (3) focusing our limited resources on the threats that matter most; and (4) easing the licensing burden on U.S. exporters. BIS team holding their award aside Deputy Secretary Andrews. Strengthening the Department's capacity to achieve its objectives, maximize return on program investments, and deliver quality, timely service. Expanding the U.S. economy through increased exports and foreign direct investment that leads to more and better American jobs.